What is Life? … It is beyond words, but words are all I have at this time to try to describe that which is beyond this world. Pictures are more effective and immediate, which speaks to the beauty and power of Tarot. My simple answer is …. Tarot is a visual symbolic language that teaches us about and guides us through the “Sacred Journey of our Soul” through life and beyond. — Tarot is a powerful, malleable tool that meets users at their level of interest. 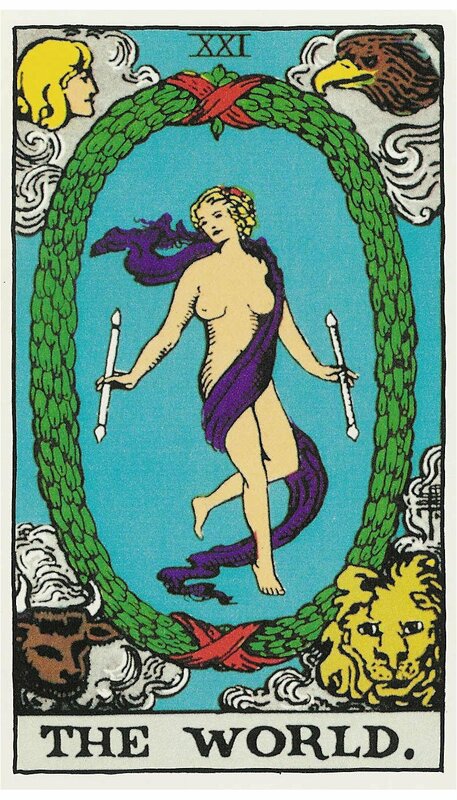 — If you are looking at Tarot from a fundamental point of view, you’ll interpret the cards literally, as if they are the authority in your life. This might appeal to folks who need guidance from an outside, paternal, source. This is a common way to approach the Tarot for in hierarchical societies we are often taught not to trust our own judgment or perceptions and to hand our power over to others. — You may be a traditionalist who works exclusively with one of the classic decks, such as the Rider/Waite/Smith, the Thoth/Crowley/Harris, or a version of the Marseille. 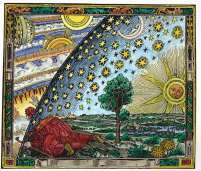 As such you know every detail of the intended meaning of each symbol on every card, their metaphysical influences, such as Alchemy, Astrology, Kabbalah, and Numerology. Sometimes this can lead to a fundamental point of view when readers believe their deck is the ultimate authority on Tarot. — Some work with Tarot as a psychological tool of self-reflection. In this case the cards mirror back to you something about who you are at this moment in time. Even the choice of layout or spread supports a psychological approach to the meaning of the cards’ message or story and what they urge the Querent to explore. — There is also Pathwork in Tarot, viewing the cards or layout as a pattern that shows you where you have been, where you are now, and what might be next in your journey through life. This invites to you see your life as a process, one in which you are the co-creator of your destiny. But, this can also be approached as a fundamental predictor or projection into your future. — Intuitive and psychic styles of working with Tarot transcend the cards and send the reader and/or client into another level of meaning or message, beyond the intended interpretation of the card. I would add that it is the intention of the Tarot’s design to support us to develop our intuitive abilities so we have more direct access to divine awareness. Ultimately, we outgrow the need for the cards altogether like discarded crutches who have served their purpose. — A handful of us study Tarot as one of the most powerful books of wisdom, on the scale of and in harmony with all the great traditions, as represented in the Bible, the Qur’an, the Torah, the Sefer Yetzirah, the Bhagavad-Gita, the Vedas, and more. An important distinction in Tarot wisdom is that it reflects more unitive values, applying dualistic principles as they appear in life, but then showing us how to resolve these opposites, splits, pulls, and contrasts. — Last, what I find most important about Tarot as a book of wisdom is reflected in the research and writing of Dai Lèon in his epic book Origins of the Tarot. He reveals that the major arcana teaches us about the principles of immortality and the stages of development that guide us individually, and I would add, collectively, to our greatest potential for returning home to conscious oneness. When teaching my Tarot students, I encourage them to explore all types of Tarot knowledge and approaches so they can develop their own style. I welcome all decks, biases, experience, questions, and knowledge. That is the beauty of Tarot, there really is something for everyone, including the type of deck you choose to read with or use as a study tool. 4/2/11 – As a returning guest on Beyond Worlds-Your Tarot Tribe talking about “Tarot and Conflict” I began the show with an expansion on my thoughts about Tarot. So let’s revisit…what is Tarot? How Tarot is used, or expressed, or lived says more about the person than it does about the cards. – Artists who create or revision Tarot decks. I have an Enchanted Tarot “III Empress” art framed in my office. – Playing poker with the minor arcana at SF-BATS 2010 with Rachel Pollack. – Paper cards can warm you when used as kindling for a fire. – Cards can be used to scoop up things, like beads. I’m an avid beader and use whatever little tool is handy. – Tarot Retreat attendee had three Victoria-Regina Tarot card tattoos. He didn’t realize that one of them was his Soul Card! – Tarot cards used for fortune-telling. Of course, this is the most common association for use of the cards. – Tarot cards used as mirror for self-reflection. – Applying intuition with the cards. 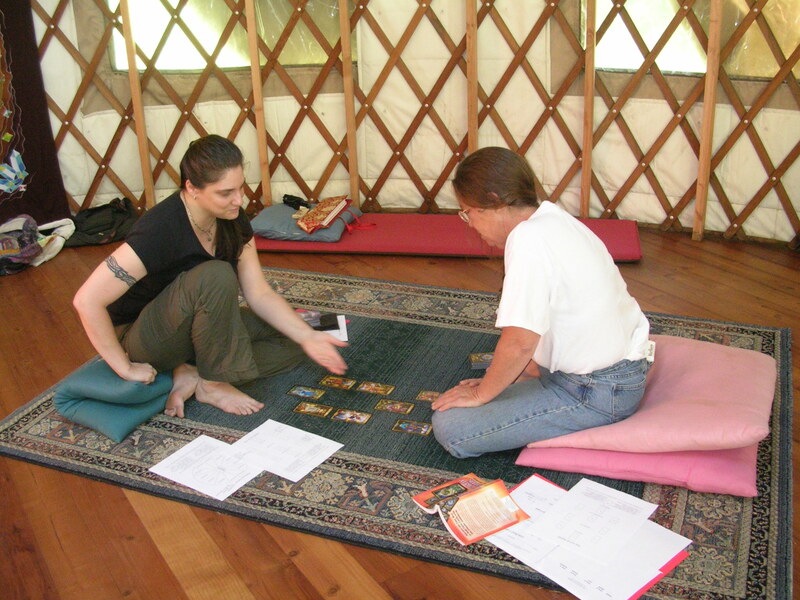 Here we utilized the Tarot as a catalyst for developing and sharing intuitive or psychic skills. – Allowing the cards to be a life guide or to access spirits. Guides and guidance can appear through the symbolism and essence of the cards. – Projecting one’s fears and labeling the Tarot as evil. Unfortunately, I must say, it is sad that Tarot cards are still used to promote fear among those who are susceptible to such intimidation. – Magical uses of Tarot are a classic form of working with the cards, especially among secret and magical orders, but can also be utilized by solitary practitioners. Since Tarot is a tool, it can be utilized for all the reasons above, and more. As time passes, this page will continue to grow. I welcome your contribution to the expanding wisdom of what Tarot really is to us and welcome your comments. Tarot is like a Swiss Army Knife. You have a tool for everything. You want to meditate, you can take out a Tarot card. You want to see the future, you can do a reading. You want to invoke an internal state, you can look at a card. You want to clarify, you want to have a mirror, use a Mary Greer technique. You want wisdom, read like Rachel Pollack. It’s everything. – Elinor Greenberg, Ph.D. The lovely Isha Lerner shared these thoughts on Facebook on June 2, 2011. Thank you to Frankie Albano, wherever he is, for the use of the Albano Waite/Smith Tarot card.